You don’t have to work a physically demanding job to suffer from a work related injury, and you don’t have to wait until your work injury qualifies for workers’ compensation before you address it. The doctors of Hanson Chiropractic specialize in effectively treating work-related injuries in patients who are employed in a wide range of occupations. We’ll also help you navigate through the paperwork and Washington State L&I claim. If you are currently experiencing constant neck pain or what might be carpal tunnel syndrome, there’s a good chance you could be suffering from a work-related injury. 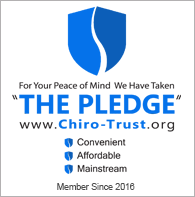 From lower back pain to to foot pain, what makes our chiropractors so well-equipped to relieve you of your pain and unease is that they are well experienced in the work they perform and the treatments they provide. Not only do we rehabilitate your injury, but we also take steps to make sure we manage your pain, which we do through a combination of such treatments as core strengthening, massage, and whiplash treatment. Even greater is the fact that you don’t have to worry about the side effects of pain medication, because we do everything we can to make sure you don’t have to take medications to successfully treat your injury. Out of all of the work-related injuries we’ve mentioned so far, one of the most common is back pain, which is typically caused by a protruding disc. Spending hours behind a desk with poor posture is commonly the reason for such an injury. No matter what the reason is, we make sure we identify it first before administering treatment in order to ensure that we can correctly and fully address your individual needs. Another common work injury we see is carpal tunnel syndrome, which is attributed to the heavy use of computers in the workplace. There’s a good chance you have the condition if you have trouble holding onto objects, or have a feeling of pins and needles or a burning sensation in your wrists. In addition to being treated with adjustments, physical therapy, and massage, you might also want to invest in a quality ergonomic keyboard and computer setup. Get in touch with a Hanson Chiropractic representative today by calling 425-355-3739 or visiting our get started page.